Prepare to freak out! Britpop sensations Blur will be back on American soil and ready to knock your socks off this upcoming October! The band is scheduled to play a select handful of North American tour dates, including an absolute, must-see show at the Hollywood Bowl on Tuesday, October 20th. After taking a break from touring in 2013, the band began working on new material. Conceived in and inspired by time spent in Hong Kong, Blur finally releasedThe Magic Whip via Parlophone Records in April 2015 – their first new album in eleven years! Grimy Goods is giving tickets away to their Hollywood Bowl show as well as the vinyl gift pack picture above! We are so stoked that the wait for a live performance of new jams is finally over! Charismatic, Melbourne singer/songwriter Courtney Barnett supports. Tickets to Blur at the Hollywood Bowl are priced at $25 – $155, show starts at 8:00 pm, and the show is all-ages. You can purchase your tickets or win a pair with us below! First make sure you’re following Grimy Goods on Twitter here and/or “like” our Facebook page here. Next, email ggcontests@gmail.com with your full name for guest list and a clever reason why you want a pair of tickets to Blur at the Hollywood Bowl. When you’re done with your email, send us a Tweet so we know you entered the contest or you can post on our Facebook wall. We’ll select a winner that has done all of the above mentioned. A winner will be announced via email, Facebook and Twitter on Friday, July 17th. Winners will have until 10 am Saturday, July 18th to reply back and confirm their win. FACE BOOK: Just leave a comment on our wall letting us know you entered our contest for tickets to Blur at the Hollywood Bowl on October 20! 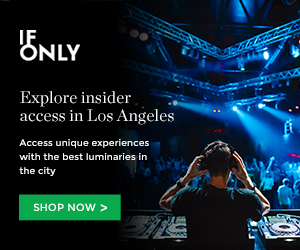 This entry was posted in Concerts & Events, Giveaways and tagged Blur, concerts, contest, Courtney Barnett, giveaway, hollywood bowl, sweepstakes, ticket giveaway, tickets contests, win on July 9, 2015 by Emily Saex.